Visions for 2040 (“Visionen für 2040”), organized by ViA, the Ecosocial Student Forum (main organizer), the Austrian National Youth Council, United Creations, and many more, took place in Vienna, Austria on 14 November 2012 in the Afro-Asian Institute. The event was divided into two parts: The first was a workshop for youth and young adults (17-27 years old), which ran from 1:30pm until 5:30pm. Workshop participants were first introduced to global challenges related to sustainability (e.g. ecological limits, climate change, food security, inequality, …), followed by several examples of best practices which seek to address – at least in a small way – one or more of these challenges (e.g. social entrepreneurs, participatory processes, intentional communities, …). After the introduction, the participants were split into three groups of 5-10 participants, which then worked together to develop and define their visions for 2040 with respect to: 1) participation, urban-rural dynamics, 2) lifestyles, food/nutrition, mobility, 3) the economy and work. The evening ended with live music by Václav Fuksa, snacks, wine and networking in the “Markt der Möglichkeiten” (Marketplace of possibilities), where partner organizations as well as a number of other civil society organizations were available to discuss their work, opportunities to get involved in their work or collaborate together. The workshop and the Festival of Ideas both exceeded the expectations of the organization team! Approximately 30 individuals participated in the afternoon workshop and the Festival was attended by around 100 people. Feedback from workshop participants and festival attendees was overwhelmingly positive, with several mentioning the focus of the events on creating positive visions for the future as being a refreshing change from concentrating solely on the problems facing society. The range of different, mutually complementing elements that made up the Festival of Ideas, in particular, enabled the total evening program to be “more than the sum of its parts”. The audience was entertained by the improv theater group’s performance of the visions from the afternoon workshops (which were briefly presented by the group representatives). The exaggerated and comedic performance of these visions was then complemented by a serious discussion of the underlying concepts and key themes. This combination allowed for an entertaining evening that nevertheless addressed issues that are facing global society. ViA is happy to have been able to partner with so many great organizations and help organize and coordinate such an event! 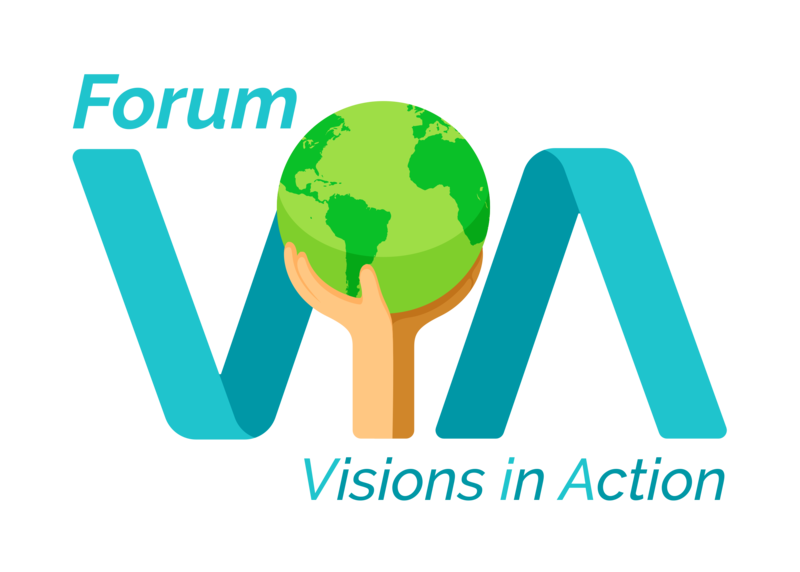 If you read German, you can go to the German version of this page and read the official follow-up to Visions for 2040, that was written by the Ecosocial Student Forum team. Also, a film team followed the event and put together a short video (in German), which can be viewed below or on YouTube here.